Marguerite is an orphan working in the palace as a scullery maid, often late in arriving for her duties. Though the Master Chef scolds her, it’s easy to see he cares about her. The glassmaker’s son also lives at the palace, but he causes trouble by stealing the fresh, early morning bread. Marguerite is so angry she throws the King’s crimson goblet at him that, of course, shatters. During olden times, glass was rare and valuable. Glass artisans were held in high esteem and the hand-blown treasures they produced were treated like gold. The noble who could provide the splendor of glass for his banquet table displayed his wealth and status, his modernity and his refinement. The blessing for the kingdom in our story is the presence of a master glassblower who “began to create a magnificent collection fit for a king.” The servants are warned that anyone who breaks the King’s glass is to bring the pieces to him – a terrifying prospect! And though no one knows what will happen if he or she breaks something, everyone is particularly careful or at least secretive when an accident occurs. tells her, “I forgive you.” The astonished Master Chef remains skeptical when she returns to the kitchen. He still believes that something terrible will come of the mistake. There is a second episode of Marguerite breaking glass because of Giovanni’s bullying. Again the king forgives but asks her to help Giovanni with his duties when she finishes with her own. Though she doesn’t like the idea, she obeys the request and finds that her kindness begins Giovanni’s transformation. There can be no doubt that Bellavance’s well written, poetic story is an allegory illustrating the mercy given to us by God when we humbly confess our sins and make amends. It is the perfect book for all parents and teachers of second-grade students preparing for First Reconciliation and First Communion. The blessings of these Sacraments are revealed through the courage of Marguerite who is the only person honest enough to admit her mistake. 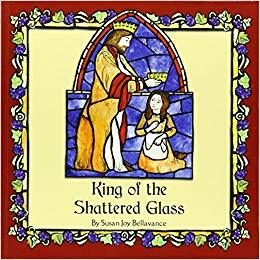 An orphan maid braves the wrath of the King when she breaks his precious glassware but realizes true beauty of forgiveness and broken glass. Finally, there is a third incident where there is much broken glass, but this time it is because Marguerite rushes carelessly through her duties in her desire to attend a celebration for the feast of St. John the Baptist. She hides behind the King’s throne with her bundle of shattered glass to admit her mistake first thing the next morning, and this is where the king finds her fast asleep. The book ends with a beautiful declaration of the King’s regard for Marguerite. He adopts her as his daughter, a reminder of our own relationship as children of God. Besides the precious message of Bellavance’s story, the illustrations by Sara Tang are detailed and vividly drawn. King of the Shattered Glass is a classic literary fairy tale. It illustrates the virtues of Faith, Hope, and Charity; but the greatest of these is Love. 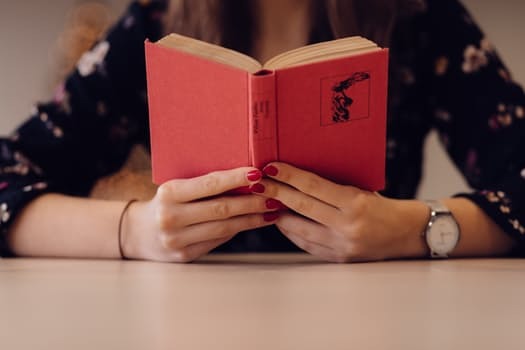 It has been granted the Nihil Obstat meaning (in the Roman Catholic Church) a certification by an official censor that a book is not objectionable on doctrinal or moral grounds. However any child of any faith deserves to hear or read this book.